First of all, sorry for my english since my mother tongue is french (i'm from Belgium). 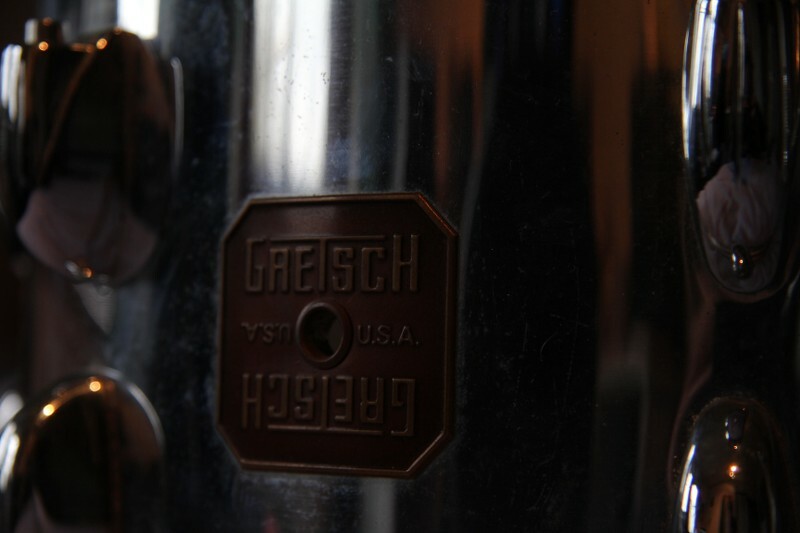 I've been looking for a forum like this one since a long time to help in my search of identification with my Gretsch snare drum. I inherited this snare drum a few years ago, but i've never been able to completely identify its year, or the shell. The model is the number 4153. The snare is all covered with chrome on the outside. 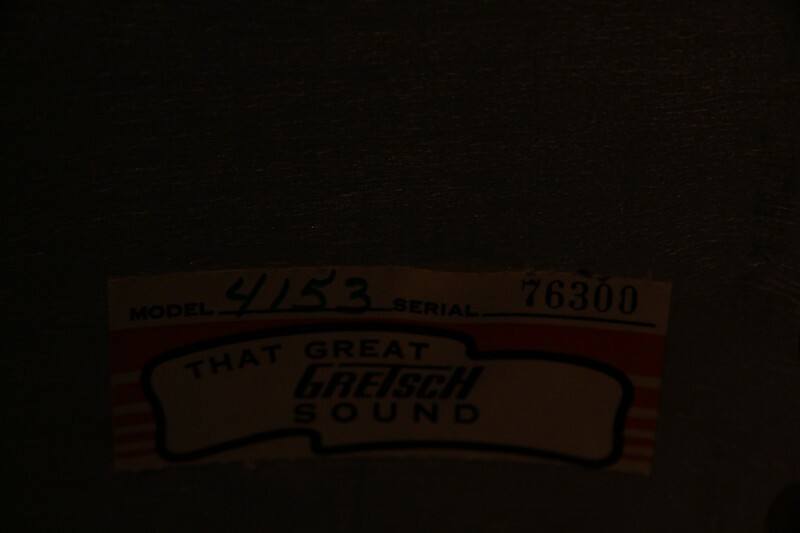 All that i can say before showing you the pics, it's that according to the Gretsch website, the year could be 1979/1980 (square badge). For the shell, i read that it would be made of 6 plies maple/gumwood. I found some Gretsch snares with chrome over brass but never with wood like mine. 8 lugs on the top and the bottom. Thanks a lot for the help ! You're probably correct on the year, this is the chrome over wood wrap a very popular finish, I have a complete kit in this wrap. Except not the snare drum. Your's would be a perfect match for my kit. Yeah, Chrome over a wood shell was one of their standard wraps for a while so you could order it on wood drums in the same way as you could get White Marine Pearl or Red Sparkle. 4153 was the model number of the Floor Show model which was a popular 6.5 x 14" wood shelled snare. Same Jasper made maple/gum 6 ply shell as other Gretsch drums of the era. You could order that snare in any cataloged finish, including, for a few years, the aforementioned chrome wrap. Well, i didn't imagine that model with chrome was so popular. I plan to sell it anyway, it's sad, but it's not the kind of sound i have been looking for and i prefer to make someone happy with a great snare. Any idea for the price ? In $ and € ? While it was something that was readily available to anyone that wanted one at the time that doesn't necessarily mean it's not unique. I don't recall ever seeing any like these. My thought is that most people wanting a "chrome" snare probably opted to get one of the chrome over brass models. 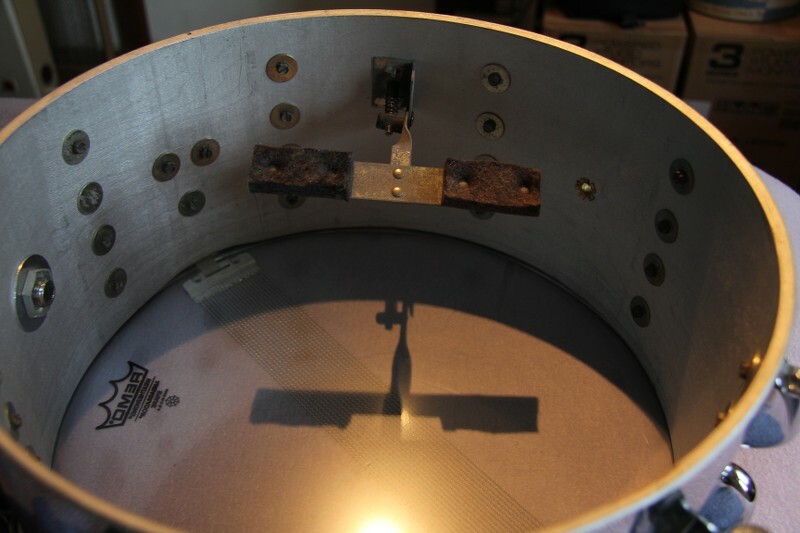 Most folks wanting a wood snare would want it to match the other drums in the set so again they wouldn't get chrome (unless their whole set was the chrome wrap, which is quite possible, but again the brass shells were another way to match those). I'd guess these chrome over wood ones are few and far between. So, while I doubt that you have the only one in the world, I'd expect these aren't especially common. Whether that translates into being worth more than any other wood shelled Gretsch snare drum of that same size/era I couldn't say. I understand what you mean and i agree absolutely. I shouldn't have said that it was not unique, every snare drum is unique. I was just pointing that wood shell and chrome was a rare combination for that snare. 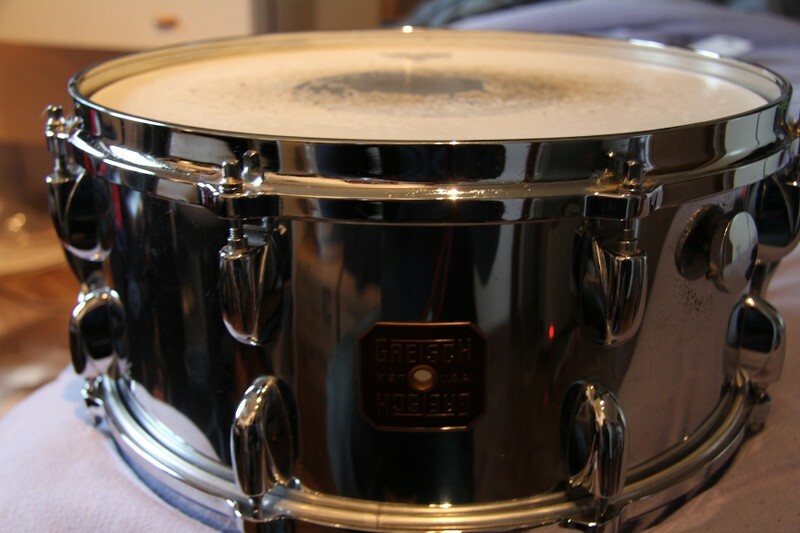 I tried with a selling price of 250 €, i will see if i can make someone happy with that snare. Thanks a lot to everyone for the help !